What is the role of talk? The authors point out the difference between monologic talk (presuming that the listener should learn from and agree with the speaker) and dialogic conversation (where the speaker and listener take turns being speaker and listener a give and take). They believe (as do I) that both student and teacher are responsible for the discussion in the classroom. They point out that teachers are the ones usually asking the questions, and they know the answers already. That is monologic talk.But when students ask the questions, they are authentic questions and promote true conversation. I was fortunate enough to hear Richard Allington speak at a conference I attended. He said, "We need to move from interrogation to conversation in the classroom." That stuck with me and, I think describes exactly the point the authors are making. They provide great tips for improving student-to-student discourse in the classroom. 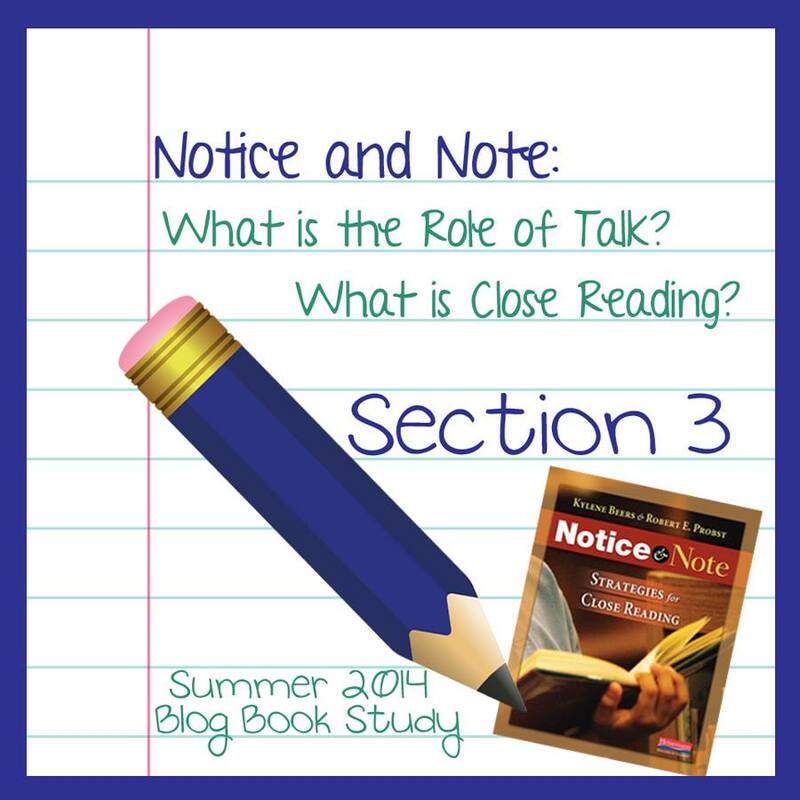 Close reading is not just attending closely to the text and nothing else. Instead it is bringing the reader and the text together, so that they notice elements of the text that might be surprising or confusing and then pause and take note, think carefully reread, and analyze. We don't do this with every single text we read, only those that invite re-reading. It works with a short passage. It will extend from the passage itself to other parts of the text. It should involve a great deal of exploratory discussion. I hope you'll join the discussion. 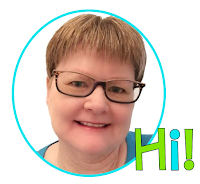 Go visit Melissa from Dilly Dabbles to link up and read the other posts.